Guys here i am going to discuss about the apps through which you can really earn some money.I know you would have heard about many earning apps that pay you money but unfortunately they didn't.In this todays growing internet world some people are trying to fool others so that they can earn money.But today i will discuss about the apps which really pay you.And it is not the fake but its very true and i my self have tried all of them.So don't worry you can try these.So here is the list.I hope you will have fun using these apps. 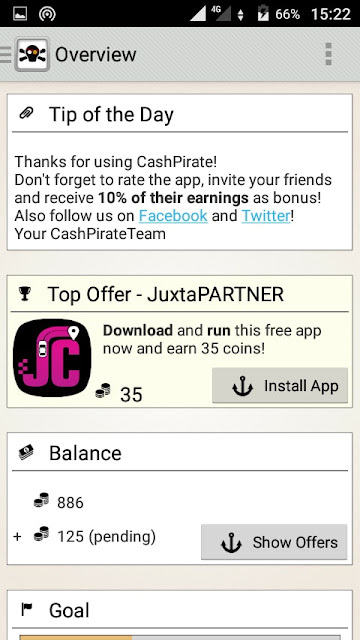 it is a great app to use it for earning.This apps gives you your money instantly when you request for a payout.i have been using it for last seven months and it is paying me right on time.In this app all you have to do is just install some or play some games to earn coins.In this app you will also get some coins on daily login.Here is the interface when you download the app. 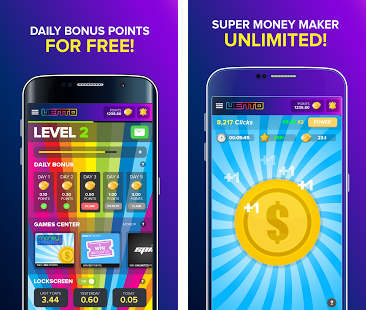 In this app you can earn more coins by reaching higher levels.And also you get coins for each click in the game.In this app you can payout using paypal or some other methods also.The minimum payout is for 250 coins which is equal to $2.5. This is the another good app for earning some real money.In this app you will get some app installations and some surveys to complete to earn coins.You can also earn coins by watching some videos.This app also gives you the payout on time and you have the same payout methods.Here you will have to earn 2500 coins for minimum payout of $2.5.Which a is very easy task in the app.Here is the interface of the app. After downloading enter the referral code as..VOXZIG..and you will get some coins for free. Basically it is a social apps where you will find amazing jokes,videos,news and much more.This app pays you the real money.In this app you can earn money by daily login.You can also earn by reading some jokes and watching videos.In this app you can also apply for a publisher or reviewer and it will effect your money making system good enough.This is a very good app so i recommend you to use the app.Here is the interface of app. If you want to download the app click on here...Download. so guys these were the 3 apps that really pay you money.If you need any help in these just drop a comment and we will reach you back.